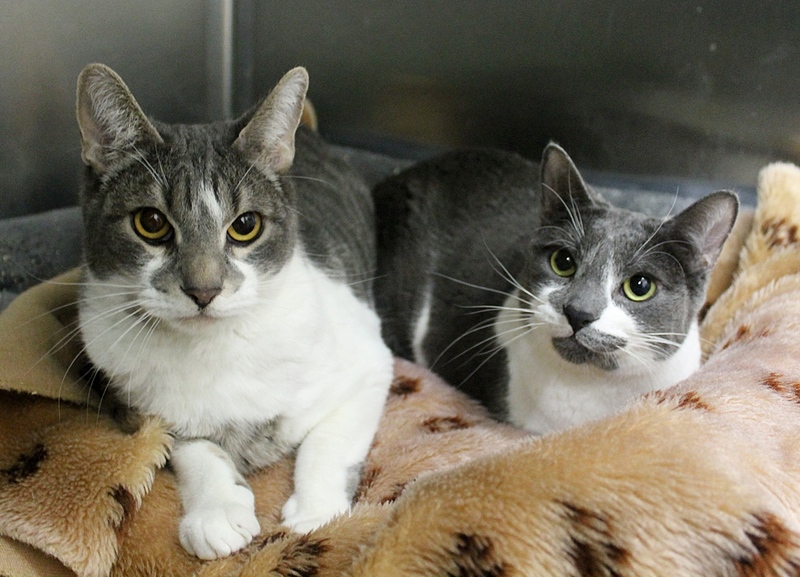 Peter (top) and Wendy (middle) are a pair of 2 & 1/2 year old sibling kitties who are ready for their next adventure! They have been together their whole lives and have proven to be pretty bonded here at the shelter. 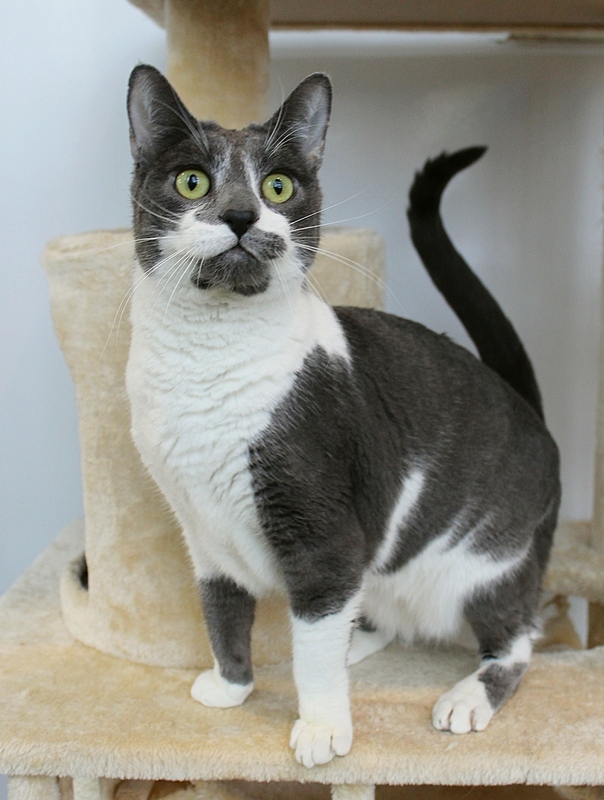 They were initially a little shy when they first came to Pixie, but have since really blossomed into fun, social, and playful kitties who would be a wonderful addition to almost any home! They enjoy a good game of hide and seek and also “go fish” with a wand toy, and can often be caught playing by themselves if no one is around to play with them. 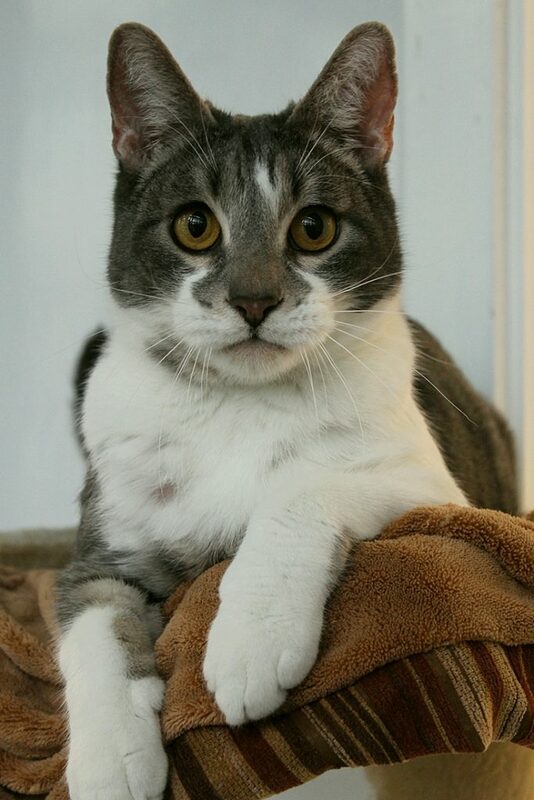 They’re both extremely gentle and great around children and other cats — they even seem extremely fond of doggies, and will come up to the window to flirt with dogs who stop by to peek at them through the cattery door! They have been indoors their whole lives and will be totally happy staying that way, especially if they have people to play with and each other to snuggle. Peter is a little bigger and a very snuggly boy who will ask for pets, while Wendy is smaller and a little bit more playful and active. Both are incredibly sweet and can’t wait to start their new adventure together! Are you looking for a pair like these two lovelies? Stop by Pixie to meet them today! They come to you fixed, vaccinated, and micro-chipped for a combined adoption fee of $180.